Ladies, you’re welcome for this picture of Rider Strong, the feature of this post. Eat your hearts out. Interestingly enough, this episode is centers around Shawn. And while that is unusual for this show, I found myself in his story like you wouldn’t believe. When I first watched it, my mouth dropped open–I know there are a couple serious episodes in every season, but I was surprised at how “real” they kept the storyline. Before Shawn or anyone can even breathe, Cory sticks up for him, “Oh, oh- I can explain that!…” and makes some excuse about how they think so much alike they turned in one paper. Mhmm. So Mr. Feeny gives them a “B”. Then divides it by 2. Which is a “D” each for them. Cory: C’mon! It’s senior year! Why are you being so tough with your assignments? Cory echoes this statement, trying to back him up, but only digging a deeper hole. Mr. Feeny, with a grave face, asks the entire class to leave, except them two. Turning to Shawn, Feeny states, “I want this assignment brought to my house by 5 o’clock today. Topanga: But I’ve never failed before! Feeny: There’s a first time for everything. …And as for you Mr. (Cory) Matthews, since you feel so responsible for their fate, I have put their fate in your hands. Their success is your success; but if either of them fails, so do you. it cuts to the trio sitting around the kitchen table, brainstorming how to do this impossible assignment. The radio is playing in the background as Shawn and Cory come up with ridiculous ideas. The DJ announces a contest: call in for a chance to win tickets to the Superbowl! But only Topanga hears it. She frustratingly blares the radio in their ears, mimes the words, and even jumps on Cory’s back to get them to understand. It goes against everything in her nature not to yell outright it in their stupid, oblivious faces. She wants to help so bad; it’s killing her. She’s not good at suggesting; she’s good at telling people how it is. The boys finally hear it (without listening to Topanga), call in, and find out they’re the lucky caller! Shawn, with a few others sitting on top of a billboard. One man is rolling by on a stretcher, being treated for hypothermia. A radio station is broadcasting live, from the street below the billboard. They’re holding a contest: whoever can stay up there the longest wins. This “Eskimo” isn’t moving anywhere soon. There’s always going to be an Eskimo standing in my way, isn’t there Cory? As Shawn climbs down from the billboard, he mutters, “This whole thing was impossible.” Cory then says to himself, “Feeny knew that!”…. The trio returns to the classroom, saying they’ve “got it all figured out”. They think they’ve learned the “lesson” Feeny was teaching, as we (the viewers) are tricked into believing this is the moral of the story, nicely wrapped up– like every episode. Get the tickets, OR fail. In this clip, we find the climax of the story: After some searching, Cory and Topanga find Shawn, sitting alone, on top of the Billboard, thinking. He tells them about not being able to go to summer camp, like Cory did, and growing up in a trailer park, instead of a real house. These are basic examples for something that’s obviously a repeated theme in the story of his life. Feeny: Oh?…He said that? Those words? Feeny: On the contrary, you passed with flying colors. …Cory, Shawn isn’t going to college and succeed because you want him to. He has to want to and believe that he can. You need to know that you won’t always be able to [help]. ….Life is a lot tougher than school my dears. Shawn learns the actual lesson, the most important one, though there are many to be gleaned here. He discovers the one we pass up oh-so-often in life, looking for a more neatly wrapped package. We want easy, simple answers, with rules, helpful hints and guidelines, along with a definite grading system. Well life is a lot more complicated than school my dears. Too often we stop at the first twist of the story, believing the lie that it’s okay to give up. As long as you “tried”. Whatever the hell that means. It was mistranslated in our work-driven culture through the past generations, leading up until now. 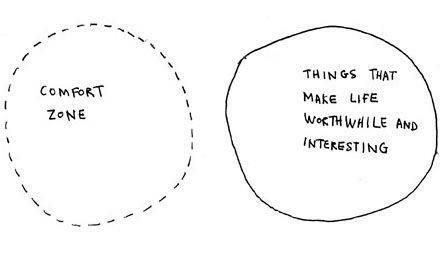 As I so similarly mentioned in my “Motionless Vagabonds” post, there are two ways to fail: from never trying or from succeeding at things which really don’t matter. along with the “attempt the impossible” mindset….which doesn’t worry about actually succeeding in the reality of the situation. It’s hard for us to envision the end goal, if we never believed it was possible anyways. We end up attempting short-sighted quick-fixes and frustratedly dragging our feet without purpose; We give up before we start. Now, I could be wrong (and we’ll leave room for that), but what I gained from this story is not that some things are impossible….but we should still give it our darndest–oh well if we fail; some things are impossible; A for effort. I think the question it asks is “What do you call ‘impossible’? Better yet, is the word “impossible” just an excuse you tell yourself? I’m not saying that “trying” isn’t good enough; don’t misunderstand me. I think it’s the point. Let me put it this way: nothing can be finalized, written in stone as “impossible” until the point at which we give up. Even if it’s whimsical, it doesn’t matter; it cannot be defined as such while you are still trying to prove it wrong. 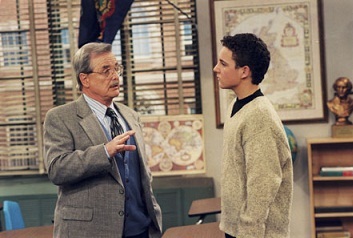 Feeny learns to let go, as they will be graduating soon and he will not be able to teach them any further. This is the last lesson, if you will. Oh, and by the way, Topanga fails. Yup. Because she must learn that perfection not the point. Topanga, who has never gotten an “F” before, realizes the assignment wasn’t about her speaking up, but her always trying to obsessively control the outcome. As Cory learned the opposite, she found there is a time and place when she indeed should be speaking up, regardless of the looming consequences (the “F”). If you dig deeper there’s a lesson about priorities in here and not letting the goal hypnotize you into trampling all the people along the way, thus defeating the purpose. Never trying may ruin you, but so will comparing yourself to perfection. And speaking of a “time and place for everything,” some of us fall into each of these roles at some point in our life. Or maybe we just “put on different hats” at certain times, with certain friends. Sometimes, we’re Feeny, the “jerk” or “teacher,” yelling hard truths and teaching the tough lessons when it isn’t popular. They may not see how it’s out of love yet, but it’s best way to motivate or help that “Shawn” succeed. Whereas sometimes we need to just shut our mouth, like Cory. Even if they’re you’re very best friend, ultimately you can’t want it so bad for them that it magically happens. Cory won’t always be around to bail him out. Shawn has to take control of his life. Point blank. Other times, like Topanga we should stop fearing the consequences for ourselves, if we volunteer to fight alongside them, and just speak up already. Here’s the episode, in its entirety. Enjoy!